Have a fun and safe summer! School will resume on August 13, 2018. COLLEGEWOOD COMMUNITY CLUB PRESENTS IN-N-OUT DINNER TOUR! 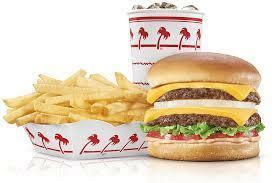 Order your tickets now for In N Out on Wednesday April 24th here at Collegewood from 5:30 pm to 7:00 pm. Come enjoy dinner, music and games. Bring your blankets or chairs to sit on, and have a great time! Please click link for more information and make sure you order your tickets no later than April 22nd. Congratulations to Mrs. Zell for being Teacher of the Year 2018-2019! Let's all celebrate this amazing teacher and how greatly she's impacted our school. Enrollment for residents begins January 14-18 for those children with siblings already attending school in our district, and January 22 for those residents new to the district. If you wish to enroll your child for grades TK/Kinder through grade 5, please click for further instructions and to begin the process. 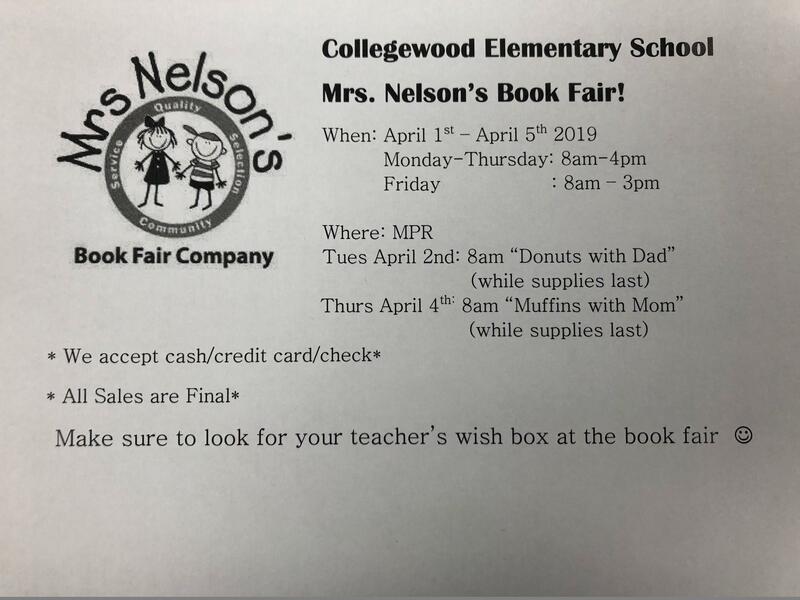 MRS NELSON'S BOOK FAIR AT COLLEGEWOOD!! Come to our book fair April 1st- 5th in the MPR!! There will be wonderful books and accessories for all ages. Teacher "wish boxes" will be there too. Click on link for more information regarding times/events. Hope to see you there!! Yearbooks are available online only for $37. Please use school code 78839.